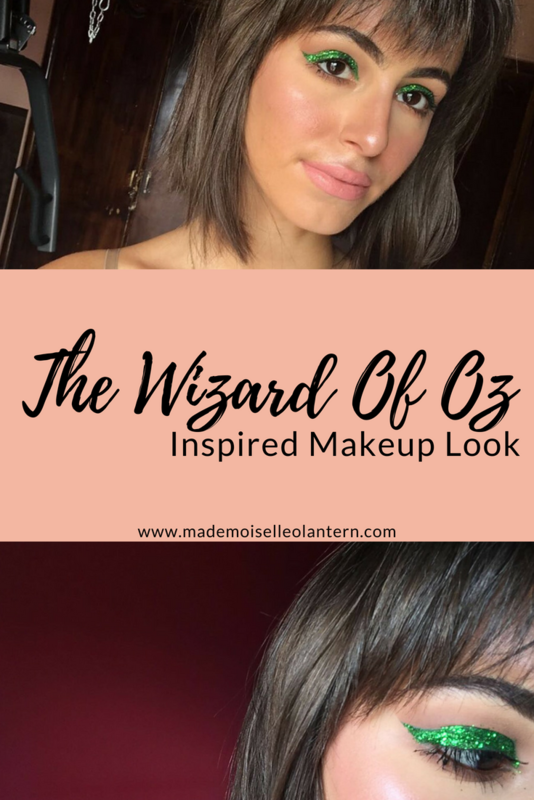 I am so happy cause I was finally able to do a creative makeup look and this is one was inspired by the movie “The Wizard Of Oz”. To be honest, I did this look without thinking it was inspired by this movie, it’s actually my friend that pointed it out to me. Anyways, I really want to start doing movie inspired makeup looks cause I love movies and makeup is my passion, so why not mix them both! I definitely imagine my character to be a fairy living in the [colored] world of the Wizard Of Oz. 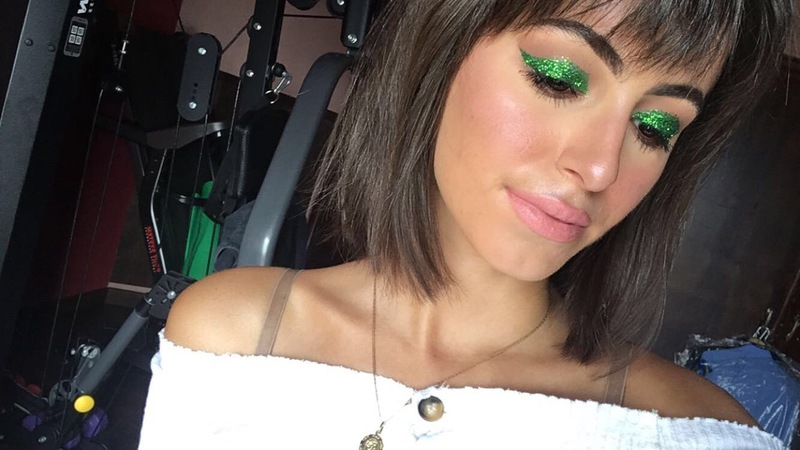 I love how the makeup look turned out, it’s so festive! Btw, I am traveling tomorrow so I don’t think I’ll be able to publish three posts, I will post two times this week instead. For my crease, I used the shade “Bel Air” from my I Think I Love You palette by colourpop then I darkened my crease with the shade “my type” from the same palette. To create the thick wing line, I used a green lipstick, the Soft Matte Lip cream by NYX in “Las Vegas” and I kind of cut my crease with it. For my lower lash line, I used the two matte shades I used for my crease. For my water line, I used the Highliner Gel Crayon in “Brownie” by Marc Jacobs Beauty. For mascara, I used the Total Temptation by Maybelline and my Perversion Mascara by Urban Decay for my bottom lashes. Lux Lipstick by Colourpop in shade “Stone Fox” and Essence Matt Matt Lipstick in #1. Don’t forget to tag me if you ever recreate this look! That’s it for today. I hope you enjoyed this makeup look and if you did, don’t forget to give this post a ‘like’ and to follow my blog [you can do that by email]. Love it! 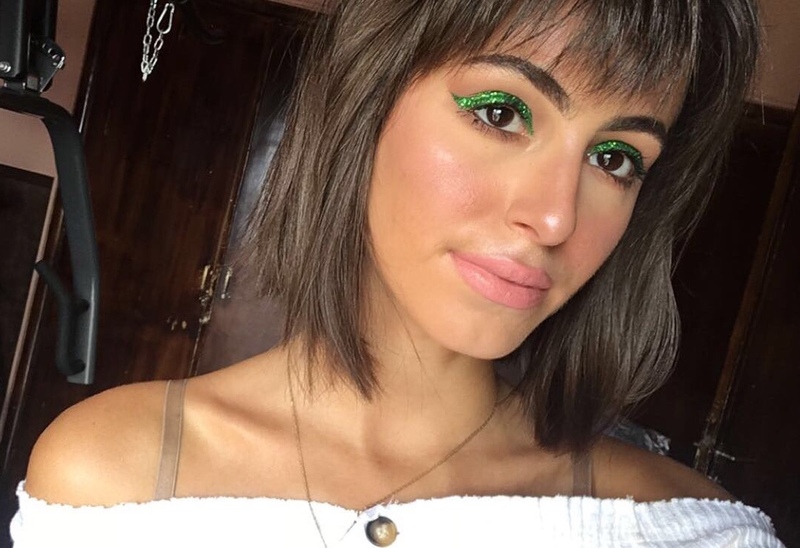 I think green is SO flattering with darker eyes! Thanks for giving me the idea! 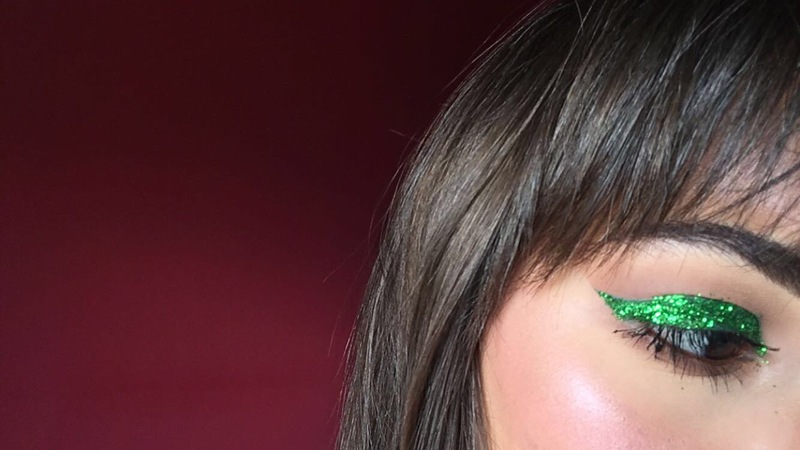 This is such a festive look! And I love that it so captures the brightness of the Emerald City! Oh I love a sparkly eye. Wizard of Oz is one of my all time favorite movies. Thank you so much!! It’s a great movie!! This is such a fun look! I love the lip color. Might need to get it! 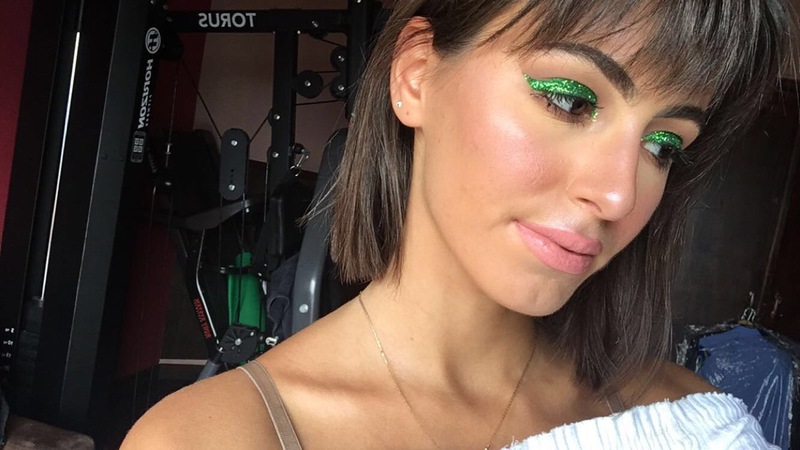 That is some serious glitter! I was just looking at that NXY primer. I am almost out of what I have so I may have to check that out. 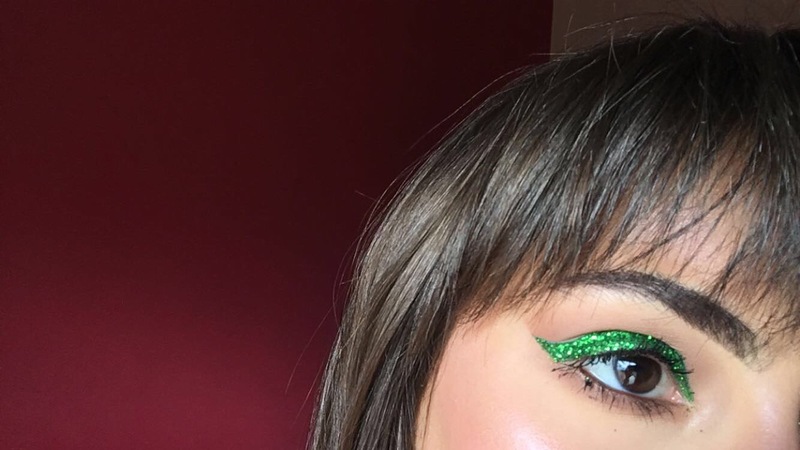 That glittery green is amazing!! !